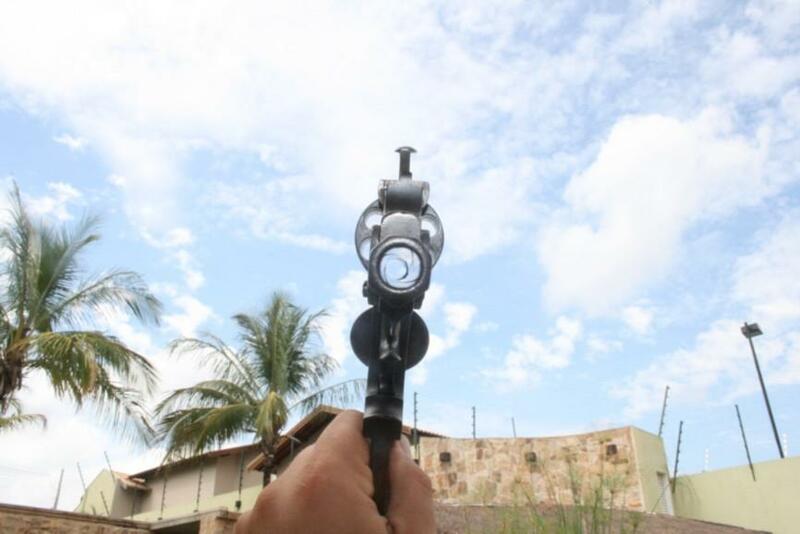 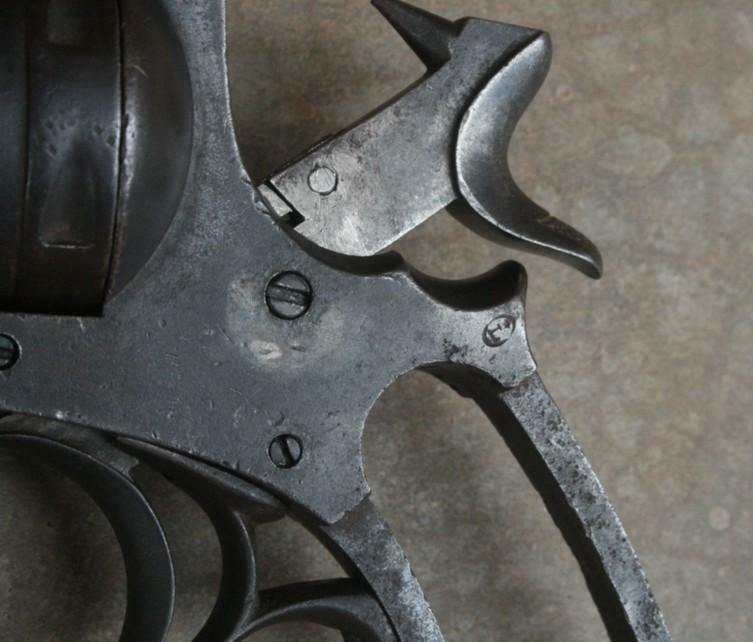 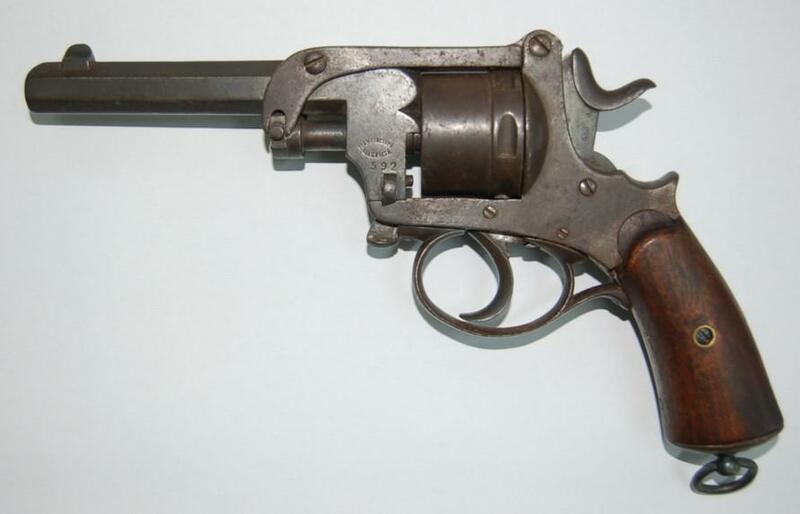 It acts of a GERARD revolver to crack manufactured by the Manufacture Liégeoise. 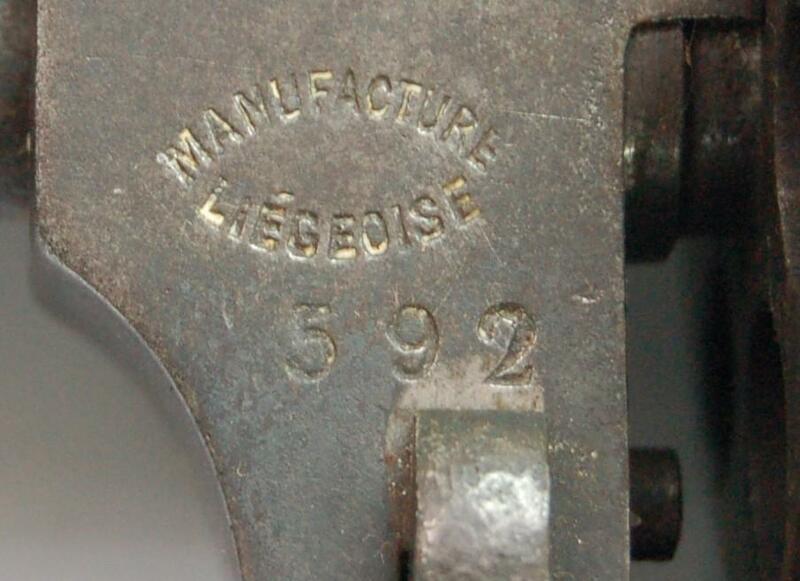 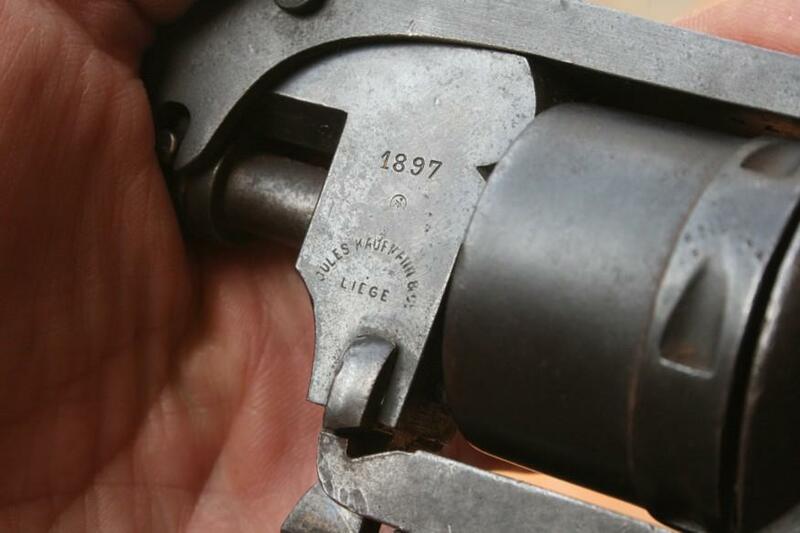 GERARD Théophile was an arms manufacturer in Liege. 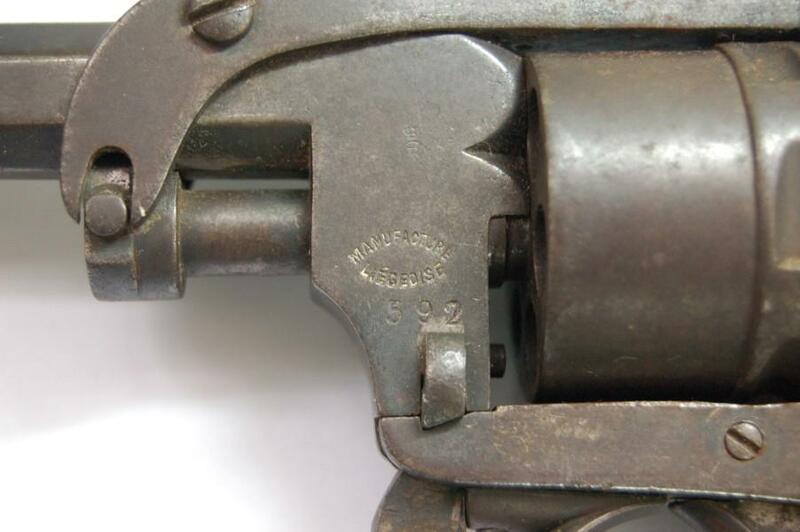 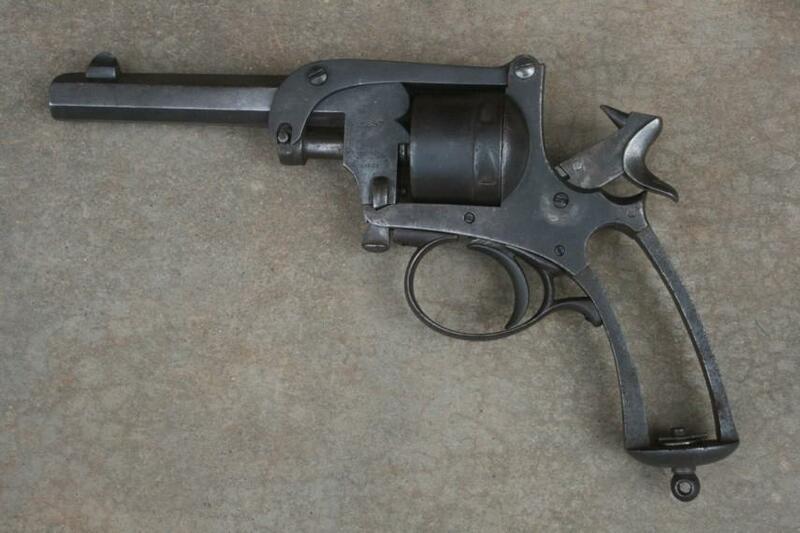 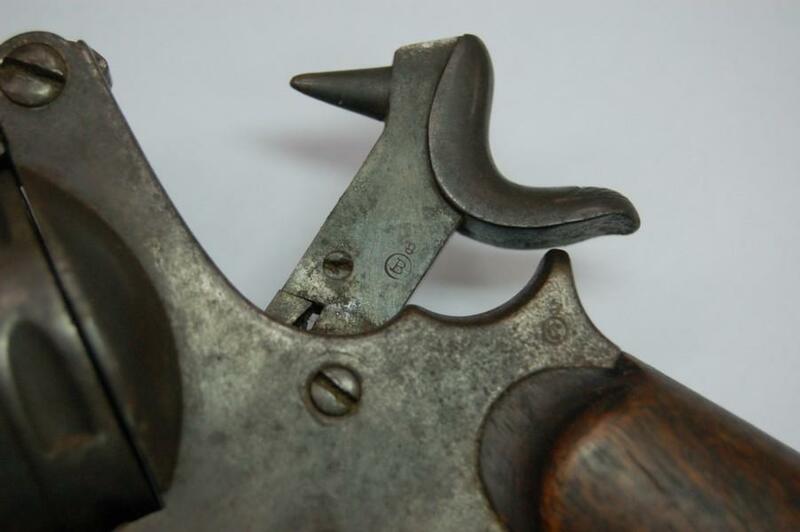 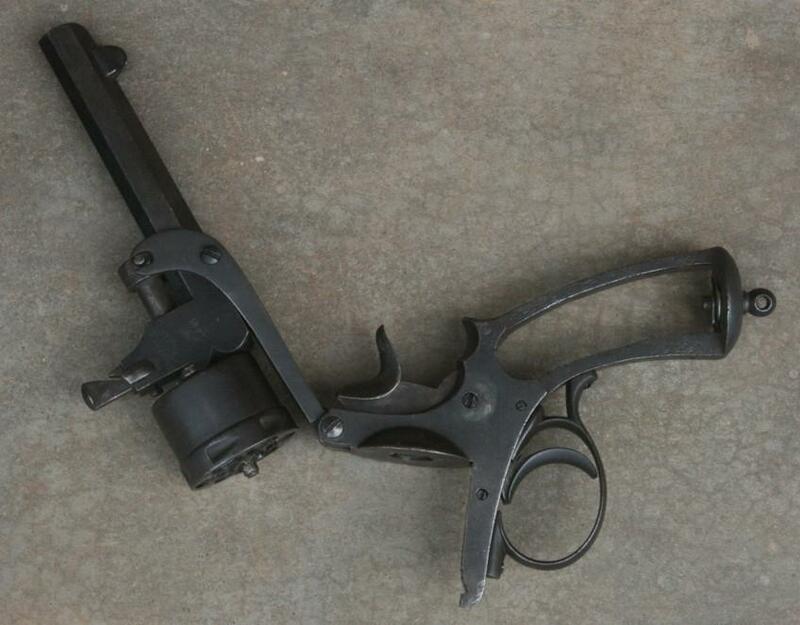 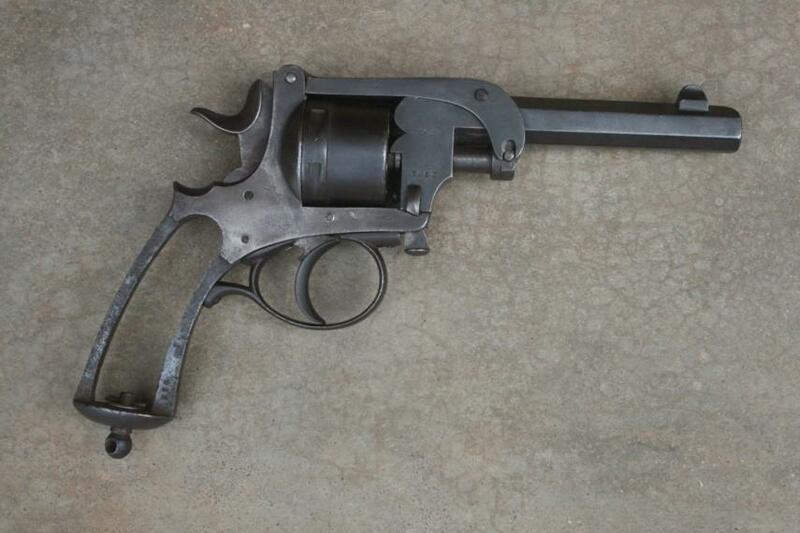 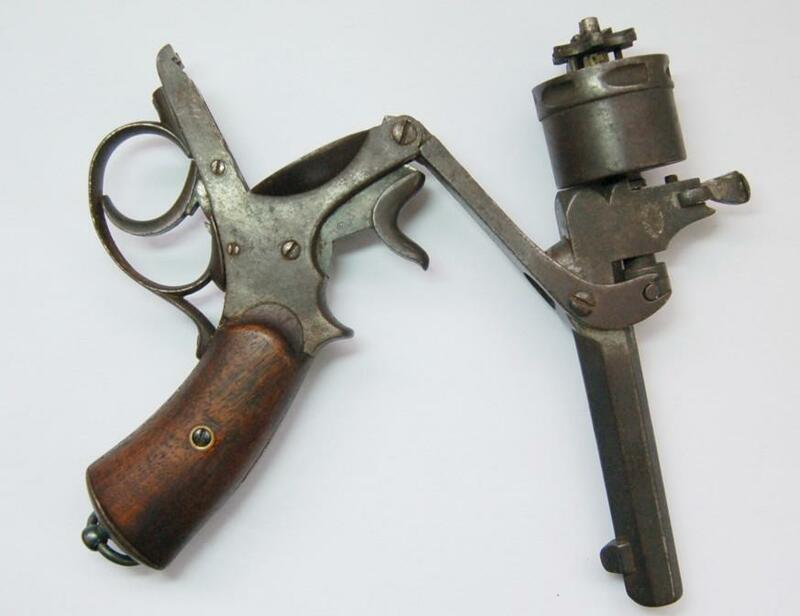 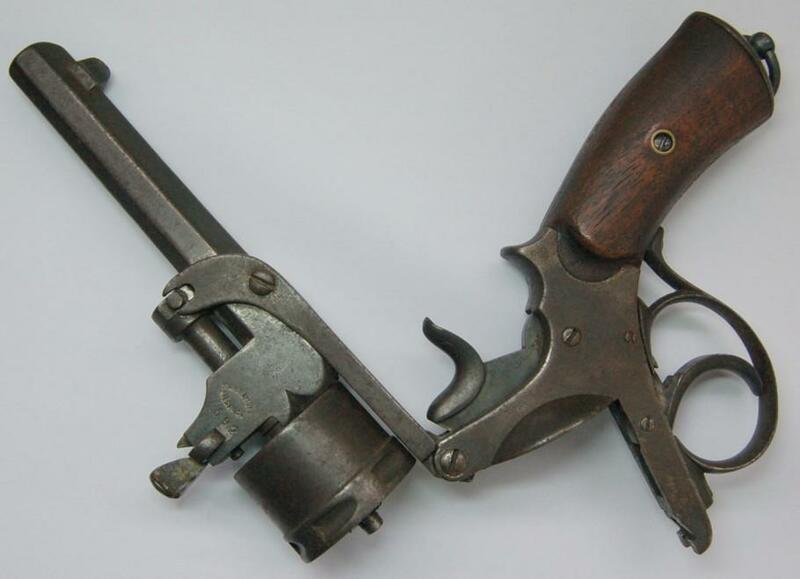 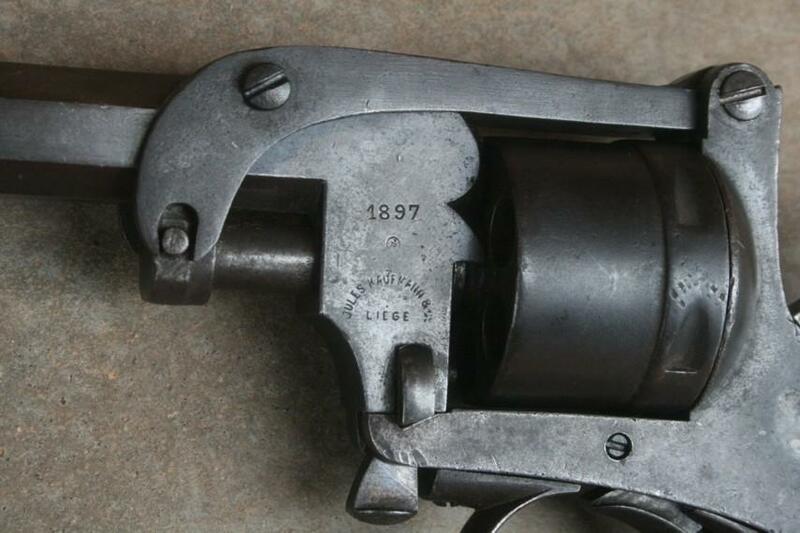 From 1870 to 1873, it deposited nine Belgian patents in particular for a modification with revolver SPIRLET, a system of pistol revolver to central percussion and automatic extractor, necessary mounts spring for Comblain, a new fashion of closing and dismantling of the cartridges applicable to the pistols revolvers as well as a new system of cane rifle. 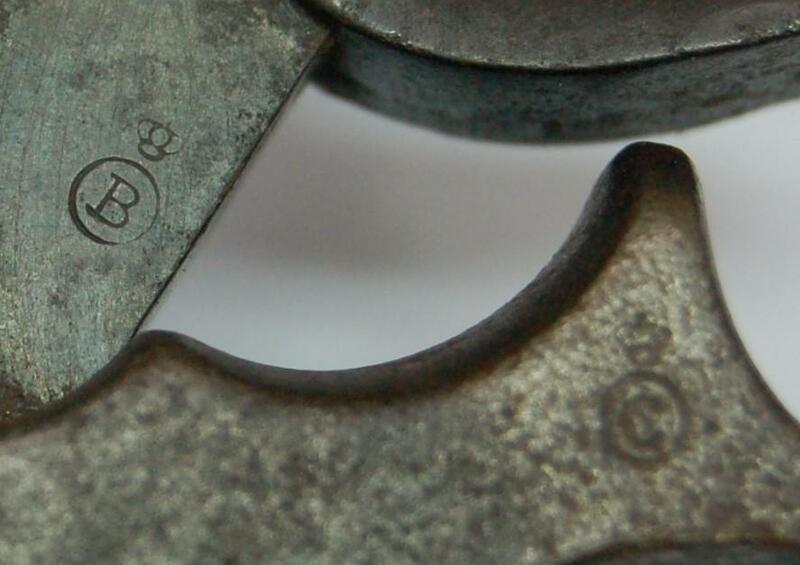 Our grateful thanks to the Brazilian collector Mr. Aldo João Alberto for these very nice pictures. 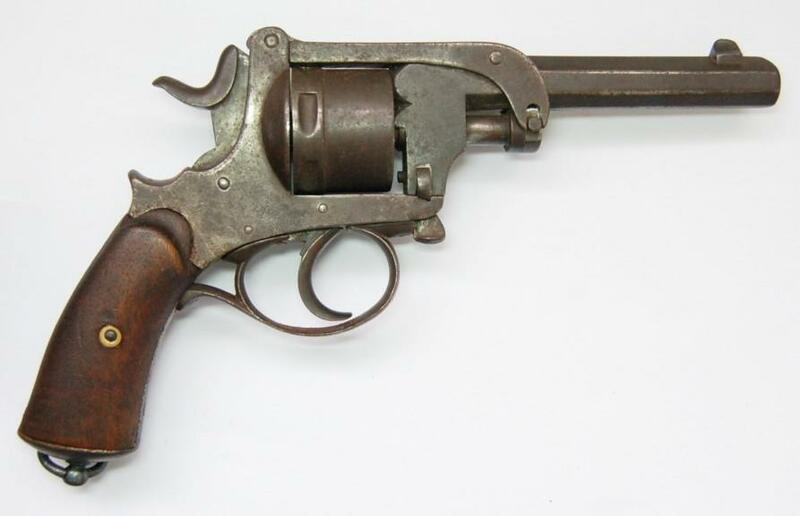 Another Gérard, but manufactured by Kaufmann this one !